Heat the olive oil in a large pot and add the onion, the leek and the garlic until translucent. Then add the mushrooms until lightly sauteed. Finally, add the potatoes, chestnuts and the dried porchini mushrooms. Add the chicken broth. Season with salt and pepper and add fresh thyme. Cover the pot and leave your soup to simmer for 30 minutes. Mash portions of your soup in a blender and put it back in the pot to heat. Add the yogurt and stir it in gently until combined. 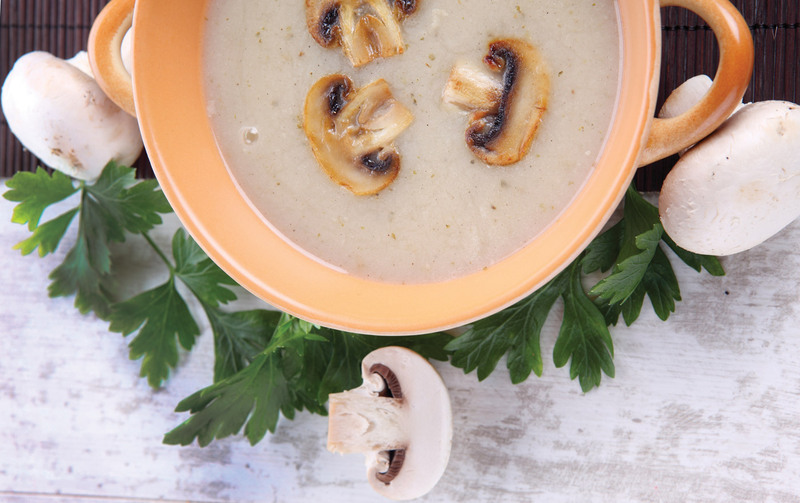 Serve the soup while it’s hot and top it with a tablespoon of Kourellas Organic Strained Whole Milk Greek Yogurt.